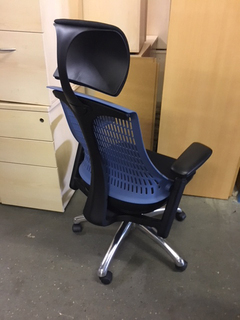 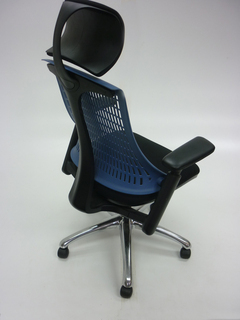 Modern task chair with a pliable flexible backrest that makes it really comfortable. Syncronous tilt action so can be left to 'float' with user's movement. Tension control to adjust to user's weight.